The team behind a recent documentary about the Black Panthers credits the film’s record-breaking TV ratings and social media buzz in part to an audience-engagement strategy in the works for more than a year. Director Stanley Nelson’s The Black Panthers: Vanguard of the Revolution, which aired on PBS Feb. 16, examines the rise and fall of the Black Panther Party in the 1960s through historical footage and interviews with key players in the movement. In its television premiere, the documentary received a 1.2 rating in Nielsen Overnight Metered Markets, the highest ever for an Independent Lens film. It also became the most-streamed Independent Lens film online. And the film was among Twitter’s trending topics for five hours on premiere night, with influential African-Americans such as Russell Simmons, John Legend, Kerry Washington, Questlove and MC Hammer tweeting about the film. Marie Nelson, PBS’s v.p. of news and public affairs, called The Black Panthers a “centerpiece” of the strategy for independent film that the network announced last spring. PBS worked closely with Independent Lens and Nelson’s production company, Firelight Media, to promote the film at every stage of distribution, Nelson said, from its September 2015 theatrical release through its broadcast premiere. “One of the exciting things around this initiative was that it knit together the indie filmmaking community and the public broadcasting community,” she said. The Black Panthers premiered at the Sundance Film Festival in January 2015. Two months earlier, filmmakers had shown the documentary to 12 national organizations, including the NAACP Legal Defense Fund, Color of Change and the Million Hoodies Movement. These groups exemplified the audiences the filmmakers were trying to reach, which included millennials of color as well as African-Americans who lived through the civil-rights movement. “Essentially we brought these organizations together to advise us on strategy, and most continued to promote and amplify and get interest in the film,” said Sonya Childress, Firelight director of community engagement. To help secure a theatrical release for the film, a Kickstarter campaign in April 2015 raised almost $63,000. Nelson said he initially thought of the campaign as a way to raise money, but by partnering with organizations and individuals through Kickstarter, he also gained valuable supporters who helped promote the film going forward. The original plan called for a three-city theatrical release, but thanks in large part to the Kickstarter campaign, it appeared in over a dozen theaters across the country and internationally. The documentary was also featured as part of IndieLens Pop Up, a series of free film screenings and conversations in communities across the country. Community screenings were held in nearly 100 cities, including Ferguson, Mo. Lois Vossen, Independent Lens e.p., said showing the film to people not usually considered part of PBS’s core audience was a top priority. The success of The Black Panthers in theaters and screenings forced PBS to get creative to build new buzz around the film’s broadcast premiere. “A fear was that with the theatrical release and the strong reviews, people wouldn’t want to talk about [the film] a second time when it came to broadcast,” said Jim Dreesen, PBS v.p. of content marketing. Because PBS has less money to spend on marketing compared to companies like HBO and Netflix, it tried to take a less traditional approach to promoting the film’s broadcast premiere, according to Dreesen. PBS did buy ads on CNN and during ABC World News but focused most of its efforts more narrowly. Dreesen compared PBS’s promotion of the film to how the Black Panthers spread their message in the 1960s. The aim was to be “bold and stylish” and to target African-American communities, which included marketing the film on buildings in cities such as Atlanta, Baltimore and Oakland, Calif.
African-American newspapers such as The St. Louis American, The Chicago Defender and The Sacramento Observer and websites including Huffington Post Black Voices and The Root covered the film. PBS also partnered with popular radio host and Black America Web founder Tom Joyner, who covered the film on various platforms. Through Kickstarter, the filmmakers were also able to engage “high-profile artists, cultural critics and bloggers,” according to Childress. These “influencers” continued promoting the film after the Kickstarter campaign ended, and the filmmakers benefited from their connections to social activists, particularly in the Black Lives Matter movement. One influencer Firelight reached through Kickstarter, dream hampton, had connections to numerous African-American celebrities. The filmmakers hired hampton, an African-American cultural critic, writer and filmmaker, to engage high-profile celebrities to tweet about the film. Firelight wrote around 70 tweets for celebrities to tweet on the night of the broadcast, Childress said. 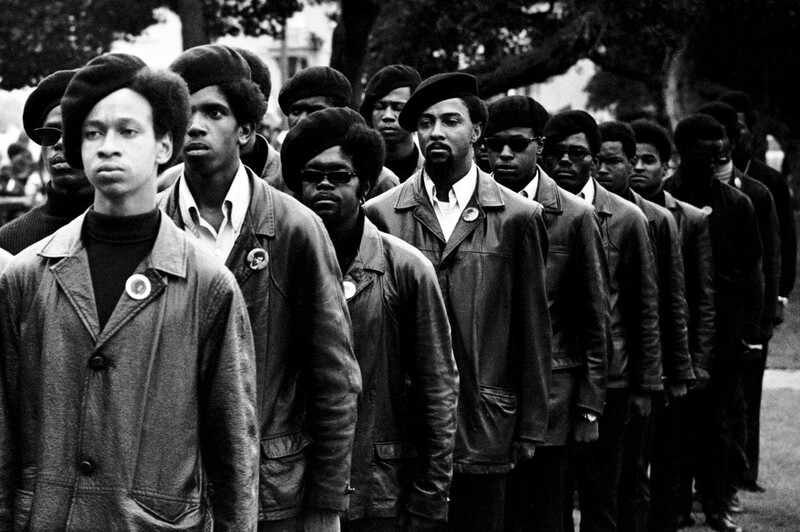 The documentary "The Black Panthers: Vanguard of the Revolution" is on @PBS right now. Another key partner was April Reign, a writer and activist who gained attention for creating the Twitter hashtag #OscarsSoWhite, which called out the Academy Awards for its all-white nominees in acting categories. PBS enlisted Reign to moderate a Twitter chat about the film on the day of broadcast and encourage her followers to join in the conversation. The broadcast-day chat worked, with over 35,000 people tweeting about the film. It became the most tweeted-about program on PBS since Nielsen Social began tracking Twitter television activity in 2011. Overall, it was TV’s most-discussed program on social platforms Feb. 16, according to Nielsen. The promotional campaign demonstrated the importance of taking the time to invest in strong relationships with organizations and audiences connected to the themes of a film over a long period of time, Childress said. “When you can do that and communities claim ownership over your film, it does more than any PR agency or film agency could ever do for it,” she said. Vossen added that engaging with stations, which included featuring the film at the PBS Annual Meeting last year and securing a 9 p.m. Tuesday broadcast time, was a key component. One thing the filmmakers couldn’t count on was the explosion of news coverage about race relations and police violence against people of color in recent years. Stanley Nelson said he believed the film was relevant when he began work on it eight years ago and when Independent Lens began funding it five years ago. But recent events made it even more relevant. The halftime show at the Super Bowl Feb. 7 helped bring even more attention to the film, as Beyoncé and her backup dancers wore outfits reminiscent of the Black Panthers’. The filmmakers capitalized on the ensuing conversation, using their connection with hampton to place an op-ed on CNN on the day of broadcast. They also secured media coverage from websites including The Huffington Post and Vice, helping direct people to the film. Beyoncé’s performance was a valuable way to get new audiences to the film by marketing it as a resource to learn who the Panthers were and what they stood for in an unbiased way, Vossen said. The Black Panthers is the first film in Nelson’s three-part series on African-American history, America Revisited. The next two films will examine historically black colleges and the Atlantic slave trade. Independent Lens also hopes to replicate the success of The Black Panthers with other films in its lineup. Vossen said building partnerships while working closely with PBS and filmmakers will be essential. Independent Lens is planning a special presentation for two films about gun violence that will debut in May, Peace Officer and The Armor of Light. The documentaries will be paired with town-hall broadcasts similar to PBS’s After Newtown and After Ferguson specials. At PBS, Marie Nelson said the successful promotion of The Black Panthers demonstrates the importance of working closely with filmmakers. For the filmmakers, success came through the relationships they built with organizations and individuals connected to their target audience. The director of The Armor of Light challenges women media-makers to rebel against the glorification of violence in film and television.